Halls of Power Part I Launches! The New Gods of Apokolips and New Genesis have come to DC Universe Online, seeking power from ancient artifacts. What are they seeking, and why are they seeking it? Halls of Power Part I launches today, August 6, 2014! Check out all the info Here! I'm taking down the Ventrilo server tonight, it's served us very well for years but I think everyone has been very happy with the Teamspeak server we have now. If you haven't already checked it out, out Teamspeak server is at ts.gamerapoc.org and has plenty of slots for your gaming needs! 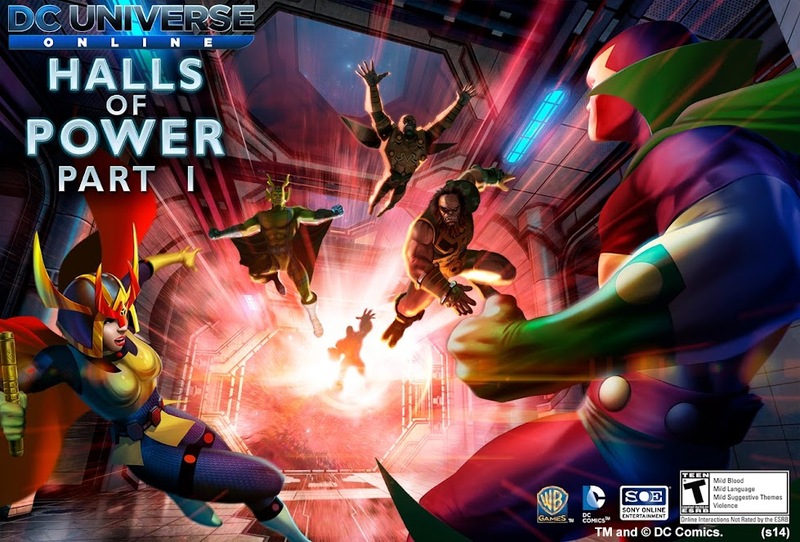 DC Universe Online has already released its 9th DLC for its legendary members last Tuesday. Starting on Tuesday January 28th, it will be available for all players to purchase. 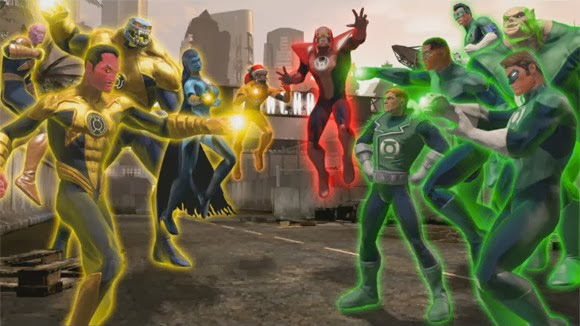 In this new Chapter of DCUO, Help the Green Lanterns (Heroes) or Sinestro Corps. (Villain's) Battle each other for control of the elusive Mist, that has been taking over Metropolis. With multiple additions for solo and group content, there has been 2 new additions to Legends PvP and a Whole new power set, Rage. Rage Powers add a whole new play style to your Hero or Villain, giving you the option to DPS or Tank with Rage Crash. For more information on this Fight for the Light Part 1 or DC Universe Online visit the DC Universe Online Homepage. So due to issues addressed in YaoYao's thread we have set up a new server for voice chat. The new server is a TeamSpeak3 server and you will need to download the TeamSpeak3 client to join us on the new server. The Ventrilo server will be phased out as time goes on, remaining up only to redirect people to the TS3 Server. So make sure to migrate to TS3 and tell everyone else to. If you need any assistance setting up, contact King or YaoYao for help. We've had the same ventrilo server (and so the same address) for years now, and we've resisted changing anything that would force us to have new info that people would have to look up. However, with all the issues of late it may be time to look at other server arrangements. My thoughts are to keep up the current server at a reduced capacity (as a placeholder/billboard to point people to the new server) and look into a more reliable server. REMINDER: Starbound Beta will be Avalible on December 4th (Tommorow) at 10am PST, 1pm EST, and 6pm UK Time. If you have pre-Purchased the game on their site, you will be emailed your steam key at said time. If you have not Pre-Purchased through Chucklefish, you can buy it on STEAM Early Access at said time. You WILL need steam to play the Beta for now. GamerApoc will have a Server running for all members intrested. If you want to play with us in the GamerApoc Universe, contact King(me) on Ventrilo or the GamerApoc.org site, or Steam me at http://steamcommunity.com/profiles/76561198009317229/ to receive Server info.